Most important... back up your computer files!!! It is a tricky time for machinery... computers/cell phones/pagers. On November 14, 2005, Mercury, the cosmic magician, turns retrograde in Sagittarius, the sign of the Archer, sending communications, travel, appointments, mail and the www into a general snarlup! This awkward period begins a few days before the actual turning point (as Mercury slows) and lasts for three weeks or so, until December 4, when the Winged Messenger reached his direct station. At this time he halts and begins his return to direct motion through the zodiac. Everything finally straightens out on December 21, 2005, as he passes the point where he first turned retrograde. Mercury turns retrograde three times a year, as a rule, but the effects of each period differ, according to the sign in which it happens. Retrograde periods, although often problematic for us earthlings, are not particularly uncommon. Each planet retrogrades, except the Sun and Moon. As a rule, retrograde planets presage a period of seemingly inevitable or fated events, which relate to their sphere of influence. They present us with a series of events over which we seem to have little or no control, relating especially to the sign in which the retrogradation occurs. For example, Mercury retrograde in Virgo presents quite different sets of circumstances from those generated when it retrogrades into Leo. 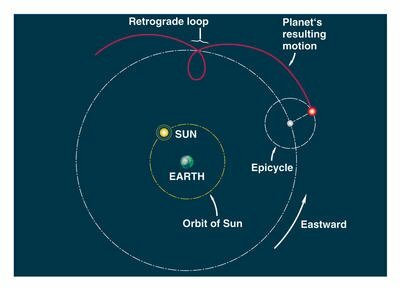 A retrograde period is best seen as a cycle, beginning when the planet begins to slow to a halt before travelling backwards through the zodiac and ending when the planet returns to the point where it first paused. However, during the cycle, the planet's energy is most powerful (and more likely to generate critical events of universal importance) when the planet makes a station, appearing motionless in the sky. Some astrologers consider that the "Mercury Shadow" begins some three weeks before the actual retro station (when Mercury passes the point of direct station for the first time), but I am more inclined to think that the really noticeable peculiarities begin when Mercury slows significantly, a few days before the retro station. This period of "Mercury Shadow" extends to the Return date, some three weeks after the direct station. Bear this in mind, because experience shows that the effects of the retro period are still marked during the "shadow" phase. In general, Mercury rules thinking and perception, processing and disseminating information and all means of communication, commerce and transportation. By extension, Mercury rules people who work in these areas, especially people who work with their minds or their wits: writers and orators, commentators and critics, gossips and spin doctors, tricksters and thieves. It is therefore not wise to make important decisions while Mercury is retrograde, since it is very likely that these decisions will be clouded by misinformation, poor communication and careless thinking. Mercury is all about mental clarity and the power of the mind, so when Mercury is retrograde, these intellectual characteristics tend to be less acute than usual, as the critical faculties are dimmed. Mercury retrograde, like any cosmic aspect, affects people differently, depending on where it hits their personal charts. Some people actually prosper under a retro Mercury, especially if Mercury is retrograde but otherwise well-aspected in their birth charts. It is also a time when matters begun under a previous retro period will come to fruition, or completion as the case may be. Firm decisions that have been previously made when Mercury is travelling normally through the zodiac may be implemented or finalised while Mercury is retrograde without too much worry, for experience shows that this can be done without undue problems arising. When Mercury is retrograde, everyone's thinking is more introspective and we tend to think about issues and concerns which relate to the sign involved. With Mercury retrograde in Sagittarius, people with this sign prominent in their charts will be especially prone to such introspection. There is little choice but to reconsider our personal views and opinions about life. There is, however, an opportunity to gain insight into our own ego. Fortunately Mercury halts in conjunction with the powerful Royal Star, Antares, the Heart of the Scorpion, so given also that Mercury trines Saturn, the cosmic downpour will not be a severe as might otherwise be expected. You should nevertheless keep an escape route open, as Mercury is in debility whilst retro in Sagittarius, the sign of his detriment. This stimulates rash reactions and mental strain, whereby people can become their own worst enemies; any symptoms related to the kidneys should receive immediate attention. Intellectual confusion and mixups, even conflict, can arise through philosophical and religious disagreements. Mars the warrior is also retrograde, inconjunct Mercury in the heavens and Saturn, the slow destroyer, is stationary in Leo, the sign of his own detriment, prior to turning retrograde on November 21. As I mentioned, the Taskmaster (Saturn) is in favourable trine aspect to the Trickster (Mercury), or the evils of the current year could be expected to rain down in full measure at this time. Either way, things will be bad enough for most of us, especially those with Fixed Signs prominent in their charts. Convention and conservatism will be challenged, but you may really begin to appreciate the power of organization and the knowledge you have managed to acquire. Others may reward you handsomely for your advice and consultation, but beware, information and ideas you receive may be misleading, so wait until the new year (2006) before taking them on board, even when from normally authoritative sources. Intelligence will be limited and there is a tendency to dishonesty and lawlessness, even among leaders and politicians, who despite any good intentions, may be twisted by circumstances into making decisions they later regret. People will be nervous and stress-related problems such as sciatica will be rife. 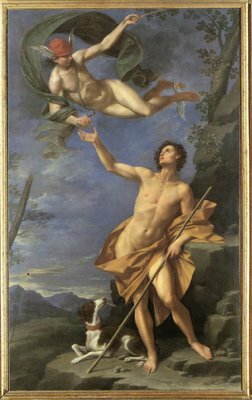 Mercury and Mars both turn direct in the same week in early December, but Venus turns retrograde on December 24. It's a twisty-turny year in the heavens, so our lives tend to be upended also. All areas of communication are affected, especially in any cultural pursuits, overseas matters or anything to do with travel, religion, academic pursuits, adventurers and foreigners in general. This period brings travel snafus and missed appointments of all kinds. Documents can go astray. Be sure to carry a diary and refer to it often. Actual Site this was taken from.